Make your dream beach wedding come true. Whatever your exotic destination wedding fantasy is, you can find it in the Caribbean’s fourth largest island, Jamaica. 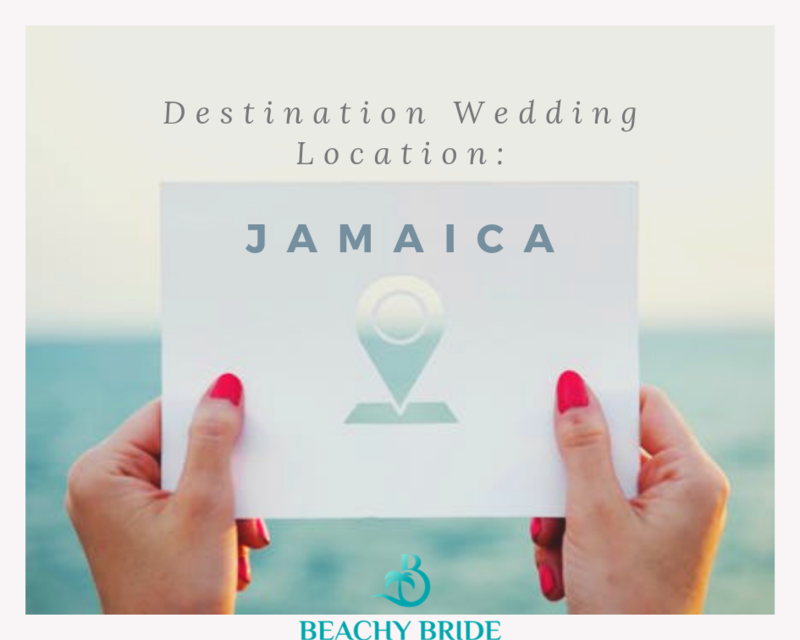 Location: Jamaica is a popular Caribbean beach wedding destination because of its all-inclusive resorts clustered in Montego Bay. It located to the south of Cuba and to the west of the island of Hispaniola. Best Time To Go:November to Mid-December is the best time to visit Jamaica as this the time when the weather is most pleasant and you have a higher chance in finding great deals in hotels and flights. Average Temperatures: Jamaica, being a Caribbean island, has a varied climate that averages between 71°C and 87°C. But chilly mornings can be experienced during winter months. Best Time to Go:Mid-December to mid-April is the peak season in Jamaica so if you’re planning to have your wedding in these months, it is best to book your venue in advance. The most popular route to go to Jamaica from the United States is from New York to Montego Bay. Legal Wedding Requirements: Legal weddings in Jamaica are recognized in the United States as legal marriages. To get legally married in Jamaica you must be on the island for at least 24 hours before the ceremony can be performed. Be sure you both have your Birth Certificates and Passports. If you’ve been married before, you will need certified divorce papers or death certificate of deceased spouse. Best thing is there are no blood tests required! Unique Features: Reggae, a music genre originated in Jamaica, along with its rich culture and exquisite beaches, makes a unique destination for your wedding. Packed with large and smaller resorts and private villas, there’s no place for second thoughts. Although, Montego Bay is the most popular wedding destination, Ocho-Rios comes in very close because of its couples-only resorts and more private beaches. If you want to have your wedding in the home to the famous seven mile coastline, Negril is your best option. Scattered throughout Jamaica are cascading waterfalls, mountains and gorgeous Caribbean beaches. Either way, you can’t go wrong with planning your beach destination wedding in Jamaica! Are you ready to plan your wedding in Jamaica? Check out these great beach wedding venue locations in Jamaica!